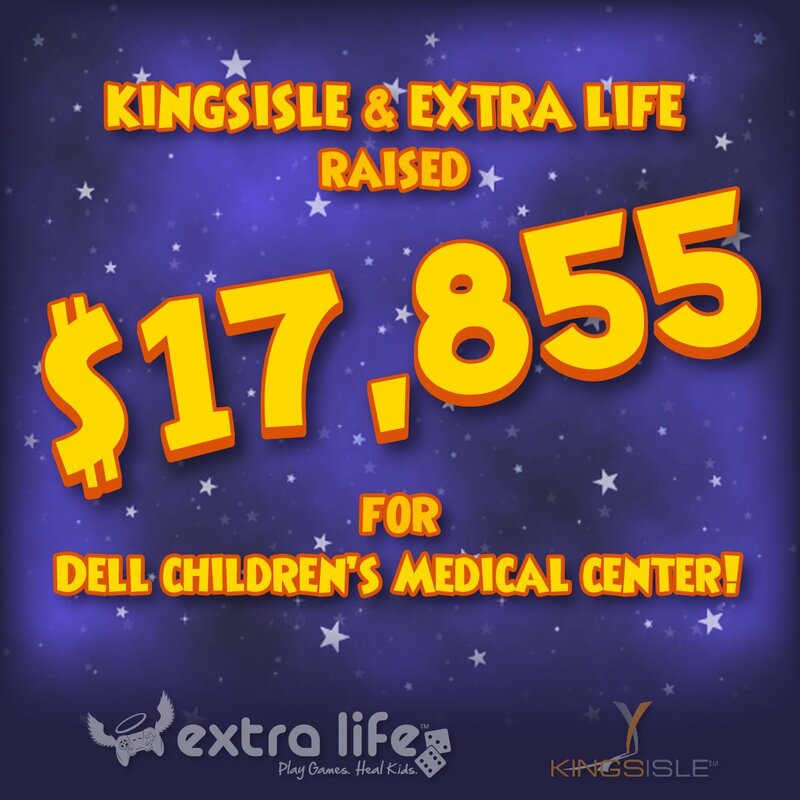 Congrats to Team Kingsisle Gamers for raising over $17,000 for the Dell Children’s Hospital of Texas! With the conclusion of Extra Life 2018, Kingsisle had sent out the brand new mysterious unreleased bundle the the people who raised over $100. Here is a ManderCat’s thoughts on the new bundle. 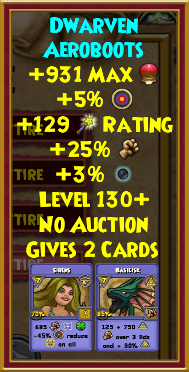 This new wand had a rather interesting may cast for wands level 100+, may cast mana burn. I’m interested to see how it would affect pvp with mana burn now available as a may cast to players. Still being a may cast you have to factor in the rng of the may cast but if used at the right time and a lucky, it could be super useful. 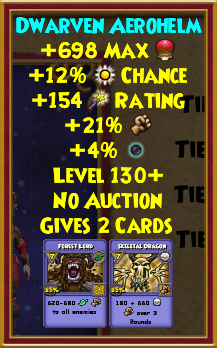 The wand can go to tier 14 or level 130. The new armor set is designed after the gear the dwarves in Aero Plains wear. 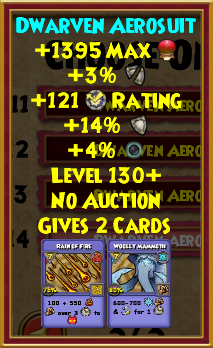 The helm provides a life and death item card, suit has a fire and ice card, and the boots have a storm and myth card. The cards change the higher as the tiers go. This gear can also go to tier 14 or level 130. 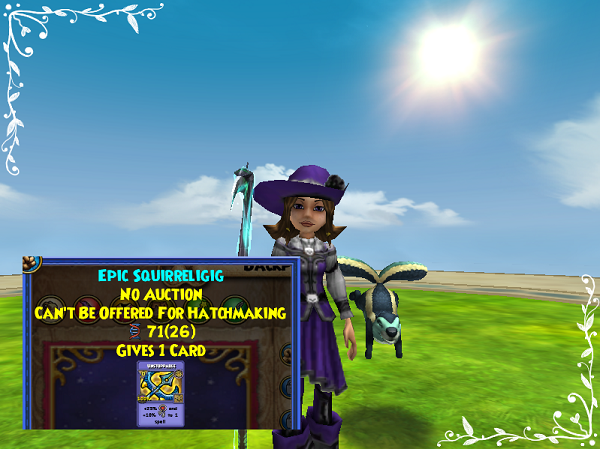 This new pet is a storm squirrel with a propeller for its tail, and its pretty cute. It gives one Unstoppable item card and has a pedigree of 71. It’s base stats are 350 strength, 240 intellect, 250 agility, 240 will, and 220 power. The mount that comes with this bundle is the blue ox. It’s really cute and fluffy. Would rate 11/10 and ride through the plains any day with this mount. It provides a 40% mount speed boost. I was hoping for some kind of stat boost from this mount like other bundle mounts but the cuteness makes up for the lack of the stat boost. The castle for this bundle is the Areo Village and modeled in a Velo City and Aero Port style. It contains many smaller houses above the surface and all the homes are connected by tunnels under the house. There is plenty of room for decorating and for sure I am looking forward to seeing what I can do with the amount of room I have. There is also a windmill overlooking the house past the waterfall that you can collect items from daily. 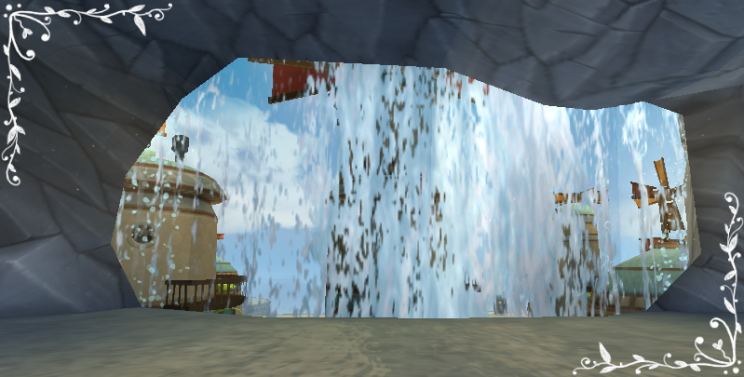 There is a pvp arena through a tunnel in the waterfall and provides a great place to pvp with friends. Overall amazing house and has so many decorating opportunities just waiting to be designed. So what do you think about the new bundle? What is your favorite item from everything included? Personally I love the mount and the castle, let me know what you like. Are you planning on buying this bundle online or when it reaches stores? Thanks for reading my review and I hope you enjoyed the new bundle.